Episode 12, in which our heroes, Cal & MD, in spite of all the crazy in the world attempt to sort out the 2019 OSCAR NOMINATIONS including the many nominations for BLACK PANTHER including the nomination for Best picture. Cal makes a brief foray into REALITY TV, specifically CELEBRITY BIG BROTHER and ANTHONY “The Mooch” SCARAMOUCHE before talking about STAR TREK: DISCOVERY and the heartbreak that has become THE ORVILLE. 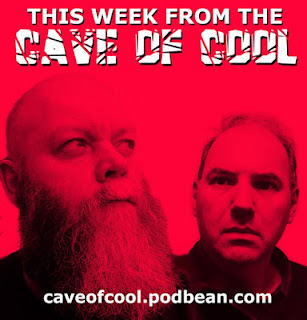 Cal then celebrates the amazing 9 MILLION VISITOR mark he acheived at CALVIN’S CANADIAN CAVE OF COOL which has him quite chuffed, before trying to sort out the world’s problems including the confrontation between the MAGA hat wearing COVINGTON CATHOLIC SCHOOL KIDS and Native Elder NATHAN PHILLIPS.. We then move closer to home to examine the state of CANADIAN POLITICS which, naturally, leads us to a discussion of AMATEUR STRIPPERS IN YELLOWKNIFE and the guy from Calgary who built an old fashioned VIDEO GAME ARCADE in his garage.